The Estée Lauder Companies is thrilled to announce the launch of its 2011 Global Breast Cancer Awareness (BCA) Campaign. 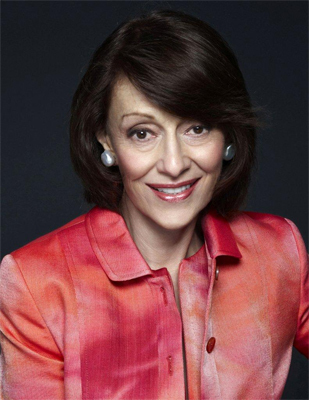 Mrs. Evelyn H. Lauder, Senior Corporate Vice President of The Estée Lauder Companies and co-creator of the Pink Ribbon, reveals the new Campaign concept, "TOGETHER. Connect. Communicate. Conquer. For A Future Free of Breast Cancer." that builds on the 2010 BCA Campaign's theme, "Connect. Communicate. Conquer. Prevent Breast Cancer One Woman At A Time." The new global Campaign emphasises the power of many millions of people joining together around the world with one voice to spread the all-important message of breast health and that early detection saves lives. The new bold and inspiring 2011 Campaign was conceived for the second year by James Gager, Senior Vice President, Group Creative Director of M·A·C, La Mer, Jo Malone Worldwide and Antonia Lakis, Vice President of M·A·C Design. The image was shot by world-renowned photographer Michael Thompson. Evelyn Lauder stated, "Together we are stronger. Together we can do more. Together we can find a cure. Our 2011 BCA Campaign's call-to-action represents the importance of people joining as one to support friends, family and loved ones to fight this terrible disease. 1The World Health Organisation (WHO) reported in 2008 that breast cancer was one of the top five cancer-related deaths worldwide. Worldwide approximately 1.3 million cases of breast cancer will be detected each year and it is our hope that this number only continues to diminish for a future free of breast cancer. Imagine the incredible impact that we can have on many millions of women and men around the world by spreading the message of the importance of breast health and that early detection saves lives." William P. Lauder, Executive Chairman of The Estée Lauder Companies, stated. "The Estée Lauder Companies' dedication to philanthropy is both personal as well as professional, as our heritage was built on leveraging the power of business for the greater good. We are very proud that our Breast Cancer Awareness Campaign, now in its 19th year, reaches many millions of women and men each year around the world with its life-saving message and we are dedicated to helping eradicate this disease." Fabrizio Freda, President and CEO, The Estée Lauder Companies, stated, "Evelyn Lauder's call-to-action for The 2011 BCA Campaign aligns with our Company's overall corporate strategy by demonstrating our high-touch heritage that fundamentally gives back to our global consumers. The BCA Campaign personifies innovation, creativity and local relevance and the 2011 Campaign theme emphasises the importance of working 'Together' to rid the world of this devastating disease"
Evelyn H. Lauder, Senior Corporate Vice President, The Estee Lauder Companies Inc Founder and Chairman, The Breast Cancer Research Foundation. Question: What inspired you to get involved with raising awareness and funds to help fight breast cancer? Feel Better, an organisation that helps women undergoing cancer treatments by improving their self-image and appearance through self-help beauty sessions that create a sense of support, confidence, courage and community. At the time, AIDS was being widely recognised as an epidemic and much of the world's attention was focused on this disease; however tens of thousands of women were dying from breast cancer and much less attention was being paid to this cause. I realised that there was a need to help women become better informed about breast health. Women of the world needed a voice and much more needed to be done to raise awareness. Look at us now! Since 1992, when I co-created the Pink Ribbon and millions of informational brochures with SELF Magazine, The Estée Lauder Companies' Breast Cancer Awareness (BCA) Campaign will have distributed close to 115 million Pink Ribbons and millions of informational brochures around the world, and thanks to the millions of dollars donated to research, early detection is saving lives and we are coming ever closer to finding a cure. The BCA Campaign is now present in more than 70 countries and its mission is to raise awareness about the importance of breast health and early detection, and to raise funds for research. By October 2011, close to $50 million in contributions to The Breast Cancer Research Foundation will have been raised by The Estée Lauder Companies' brands and employees globally, and through fundraising initiatiatives with our wonderful retail partners. Knowledge is power and the purpose of The Estée Lauder Companies' BCA Campaign is to reduce fear in the minds of women all over the world through increased awareness about the importance of breast health and early detection. The more a woman knows about her body, the more she knows about her health, the more proactive she is, the more in control she is, the less frightened she is. If you reduce fear, women are far better able to cope with any kind of diagnosis. They take control. Today, each and every survivor inspires me to get out there and do more. Everywhere I travel, I meet people who are aware of breast cancer because of receiving a Pink Ribbon, or because of something someone at an Estée Lauder Companies' brand counter said to them, or they saw an illumination and decided to get a mammogram. I am also inspired and energised when I meet our customers around the world and see firsthand what they are doing to save lives. The actions on the part of so many people inspire all of us to keep fighting. There's an old saying I truly believe: "If you save the life of one person, you save the entire world." Question: Why is it so important to continue to raise awareness? Evelyn H. Lauder: Breast cancer continues to be the most commonly diagnosed cancer in women excluding skin cancer. The good news is that the mortality rate continues to decline. This is believed to be the result of early detection and more effective treatments. We know that if a localized breast cancer is detected early, it is 98% curable. We need to make our voices heard around the world by reaching everyone with the message that early detection saves lives and by giving as much support as we can to do research. We must rid the world of this disease in our lifetime. Question: What was the inspiration behind this year's breast cancer awareness theme? Evelyn H. Lauder: Last year, our focus was "Connect. Communicate. Conquer. Prevent Breast Cancer One Woman At A Time." This year, we wanted to raise the bar by pulling TOGETHER as many people as possible to unite for this cause. Imagine how loud our voices would be if we unite to spread the message of the importance of breast health and that early detection saves lives. We will make an even bigger impact, save more lives and raise even more funds to rid the world of breast cancer once and for all! This October, during Breast Cancer Awareness month, it is my hope that everyone can join Together in unison for this cause. If we all connect and communicate with everyone we know, and show support through wearing a Pink Ribbon, we can obtain a future free of breast cancer. Question: Why did you choose pink as the symbolic colour for the BCA Campaign and the Pink Ribbon? Evelyn H. Lauder: When a baby is born, boys are associated with the color light blue and girls with the color light pink. Because pink is the color that represents femininity, it was a natural choice to represent awareness of breast cancer, which affects women so predominantly. Eventually, I turned the color of our Pink Ribbon to hot pink to symbolise my drive to turn up the heat on breast cancer and raise awareness with ferocity. Making the color so brilliant stressed how important it is to find a cure. This year, a blue stone has been added to our Estée Lauder Jeweled Pink Ribbon Pin to represent the men who have been affected by breast cancer. Approximately, 1% of all people who are diagnosed with this disease are men, and countless men are impacted through the diagnoses of a loved one. Sometimes I can hardly believe that we have distributed close to 115 million Pink Ribbons around the world. It's amazing that we have come so far. Question: What would you tell women who have just discovered they have cancer to give them hope and comfort? What about women who have loved ones suffering from the disease? Evelyn H. Lauder: The good news is that more people are surviving every single year so, firstly, never give up. Go to a breast specialist or a teaching hospital if possible. Following the advice of your oncologist and surgeon is very important. Many of today's treatments are more tolerable than in the past, and there are excellent targeted treatments which affect the tumor only (rather than the entire body) that have been, and continue to be, developed. Additionally, there are many effective drugs that now control the side effects of chemotherapy. Many women are living with the cancer as a chronic illness. Don't be afraid of breast cancer. Don't be afraid to do breast self-examinations or to have a clinical breast exam as part of a regular doctor's visit. Don't be afraid to have regular mammograms if you're over the age of 40. Don't be afraid - or wait - to go to your doctor if you find a lump or suspect something. Question: What is missing from the current conversation regarding breast cancer, and wht are you doing to bring this to people's attention? Evelyn H. Lauder: I believe awareness has become extremely popular. People are more conscious than ever of what they really need to do. What is truly missing is commitment to funding research, which is what will ultimately cure and prevent breast cancer. Budgets have been cut for the National Cancer Institute and all federally funded cancer research programs. In addition, pharmaceutical companies are facing budget pressures and many have cut back on their investment in cancer research. As a result, the private sector has had to step in to make up for the loss. It's a fact that with additional research, new targeted treatments could be made available. Even prevention strategies, such as vaccines, could be made available that would enable us to prevent not only breast cancer, but many other types of cancer as well. Question: Could you tell us the key achievement to date on the breast cancer research foundation? Evelyn H. Lauder: I founded The Breast Cancer Research Foundation (BCRF) in 1993 to address a crucial lack of funding for clinical research in breast cancer at that time. BCRF very quickly embraced not only clinical research, but translational laboratory studies aimed at improving patient care. BCRF is an independent not-for-profit 501(c)(3) that in 2010-2011 is supporting 172 scientists at leading medical centers worldwide. BCRF grant dollars have provided crucial support for clinical studies that have directly benefited breast cancer care. For instance, the development of successful new breast cancer treatments such as Herceptin® and Avastin®, the finding that low-fat diet and regular exercise may help prevent breast cancer recurrence and also may delay the age of onset in individuals at high risk, and insights into the connection between genetics and external factors in breast cancer development were all made possible by BCRF-supported investigations. BCRF grants have also resulted in important laboratory studies crucial to the eradication of breast cancer. These include the discovery of new genes that may protect against the development of breast cancer and others that conversely may increase risk, the finding of new pathways and drug targets, the identification of accurate markers for risk assessment and response to therapy, and knowledge of how breast cancer-initiating cells (cancer "stem cells") develop and spread.